Who is this "Eric" that I see reference to, that does CLA's? There is a counterpoint thread Can't recommend Eric any longer but I believe there are far more thumbs up then there are thumbs down. Last edited by LesDMess; 01-20-2019 at 10:54 AM. He’s CLA’ed over 40 cameras for me since 2009 (half of them sold on to get something else) and repaired many a damaged or dried out lens. 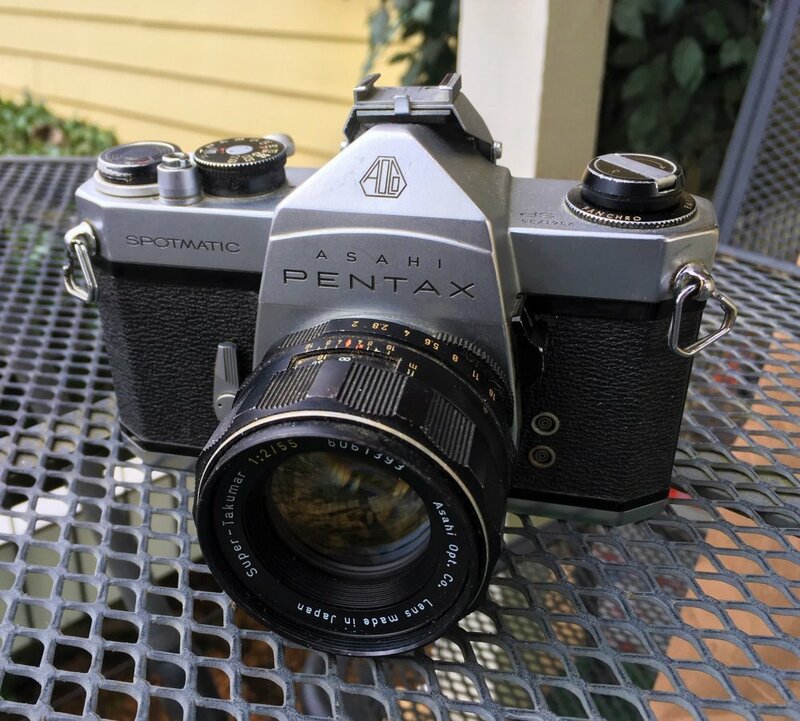 If you have a mechanical Pentax that’s needs a once over, get it done now. Eric is getting old. There is a younger technician at Advance Camera in (I believe) Portland who is developing a good reputation. I may as well toss in a good word for the camera techs I use, who happen to be local to me. But they do mail order. Professional Camera Repair. They work on everything, from antique view cameras to DSLRs. They are fast, reasonably priced, but most importantly, they do good work. I had them do a CLA on my LX a couple years ago, and they did a good job. For my M42 system I don't use my two Takumars (35/2 and 50/1.4) that much because of the yellowing, and usually the to-go lens is a tough battle between the Volna-9 or the Pancolar. Why don't you get rid of the yellowing with some exposure to UV light? I've tried the IKEA lamp method, but apparently my lenses are too old and considerable yellowing still exists after several days of treatment. 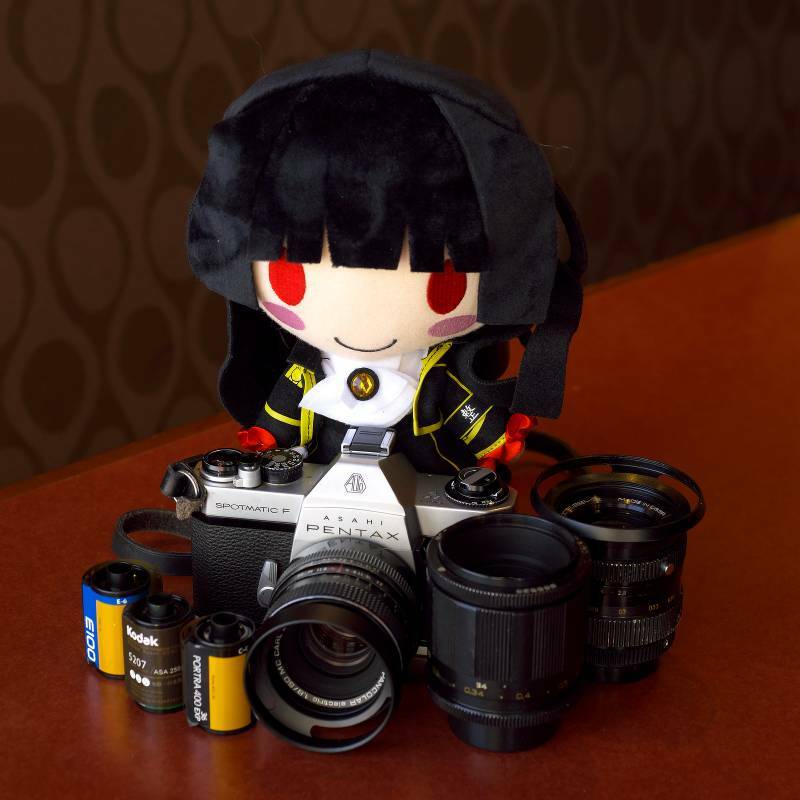 For now my Takumars are mostly used as adapted glass on my digital or used with B/W film. The standard windowsill / sunlight on the rear element with aluminum foil wrapped around the front for a week or two works. My S-M-C Tak 50/1.4 is gin clear after that treatment. I've tried the IKEA lamp method, but apparently my lenses are too old and considerable yellowing still exists after several days of treatment. In my experience the IKEA lamp method takes far more than a couple of days. I have a yellowed 105 f2.4 and after three weeks it was significantly decreased but not gone. Let me introduce a freebie I was given a few days ago. "I don't think it works, maybe you can make it work." OK....a new battery arrived today and EVERYTHING works. The body is in nice shape. The lens has been around the block a few times cosmetically, but the glass looks great. Unfortunately sunny days are a luxury here in Saratoga. Might be able to do that once I graduate and return back home for the summer. Unfortunately I broke my last IKEA lamp, might just get a new one.